Discover how to get rid of a cold fast with our special family natural cold remedy, homemade super tonic! Everyone hates getting a cold, but every year it seems inevitable. The moment you feel it coming on, the first thing you probably do is search for a remedy. When you’re stuck with a terrible cold, you want something effective. This cold remedy basically combines all of the best cold-fighting compounds into one powerful blend. Of all the wonderful natural cold remedies I know, this one is the best! Guys, this natural cold remedy is POTENT. If you’re looking for something that tastes good, this may not be the right fit (*cough*). But if you’re looking for something that WORKS as a common cold cure, look no further. 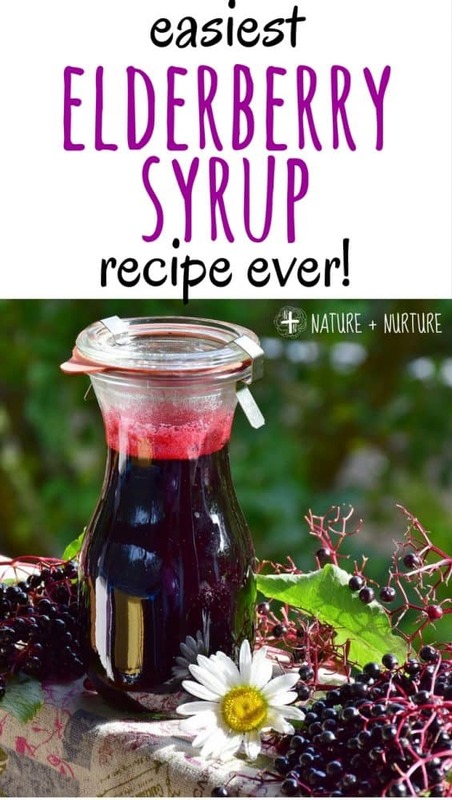 When my husband and I first got married, during cold and flu season, I was introduced to this strange looking (and smelling) concoction in a dark dropper bottle. It was a special recipe created by his mother that his family used for years. They called it “Super Tonic,” and to them, it is the perfect common cold cure. Any time he felt a cold coming on, my husband would squirt this in the back of his throat and gargle. It always seemed to kick his cold in the teeth. One time, he was extremely sick with a cold and fever but he had to be somewhere. So, he got in a hot bath and took several doses of super tonic while in the bath. His fever broke! But me, being the chicken that I am, didn’t want to try something that looked and smelled funny – even though I wanted to know how to get rid of a cold. So I resisted. Eventually though, I got desperate enough to try this natural cold remedy. At first, it was a little hard to swallow (literally). This stuff is strong. But that’s why it works – germs can’t survive when exposed to this super tonic. As expected, the first few times I used it, I didn’t like the taste and would cough and sputter. But eventually, I got used to it and even started to like it! And guys, let me tell you, this stuff WORKS. I finally figured out how to get rid of a cold and I can literally feel the germs dying inside my throat. It’s as close as you can get to a common cold cure! 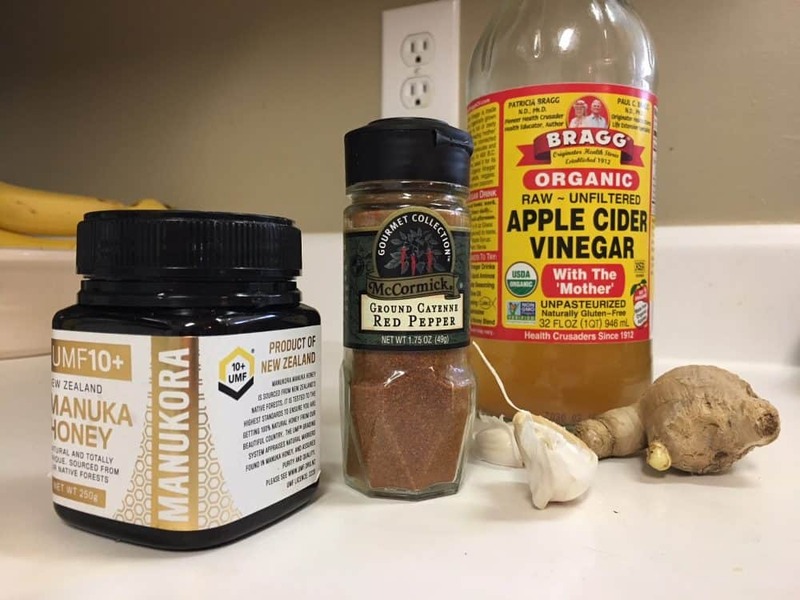 Here are the cold remedy ingredients and why they work so well. The star of this recipe, apple cider vinegar (also known as ACV) is known to benefit the body in many different ways by helping to balance pH levels and provide minerals like potassium. Particularly for the common cold, it serves several different functions. It helps to thin and break up mucus, and the vinegar helps to kill off bacteria. The vitamin C and mineral content helps strengthen the immune system (source). Garlic helps to shorten the duration of your cold when you take it early. Not only is garlic a great natural cold remedy, it is also great for preventing colds in the first place. Cayenne pepper contains a compound called capsaicin, which helps to thin mucus and break up congestion. It is also thought to stimulate blood flow to the nasal passages and make breathing easier. Cayenne also contains Vitamin A which helps to protect the body during a cold. Additionally, cayenne pepper also helps to bring down a fever if you have one by naturally reducing your body’s core temperature (source). Personally, it seemed to me that the super hot pepper helped to kill off all that bad bacteria too! In one study, children age 2 and older with upper respiratory tract infections were given up to 2 teaspoons (10 milliliters) of honey at bedtime. The honey seemed to reduce nighttime coughing and improve sleep. In fact, in the study, honey appeared to be as effective as a common cough suppressant ingredient, dextromethorphan, in typical over-the-counter doses. Local raw honey and manuka honey are best, as they contain more of the active healing enzymes than typical honey that has been heated. If you’re looking for an effective cure for a cold, look no further than honey. 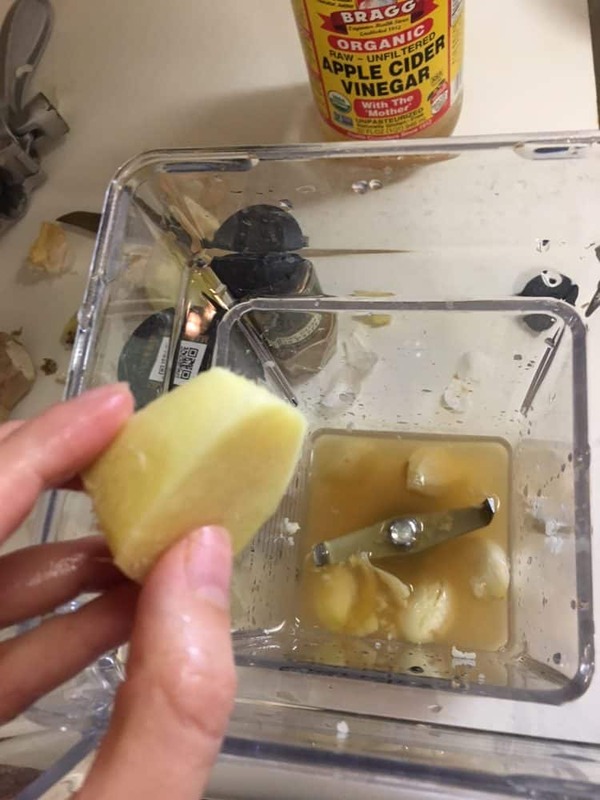 When I’m sick, I also love grating fresh ginger into a mug of hot water with honey and a squirt of lemon. It’s the perfect healing tea. Wow, that’s a lot of cold-fighting power in those ingredients! Now, here’s a step-by-step tutorial on how to make it. If you want the quick version, I’ve included a recipe card at the bottom of the post. First, add 1/2 cup apple cider vinegar (with the mother, such as Bragg’s) to a blender. After this, add 6-8 cloves of crushed garlic, depending on the size. I love using this garlic press. Then, add 1 inch of peeled, grated ginger. 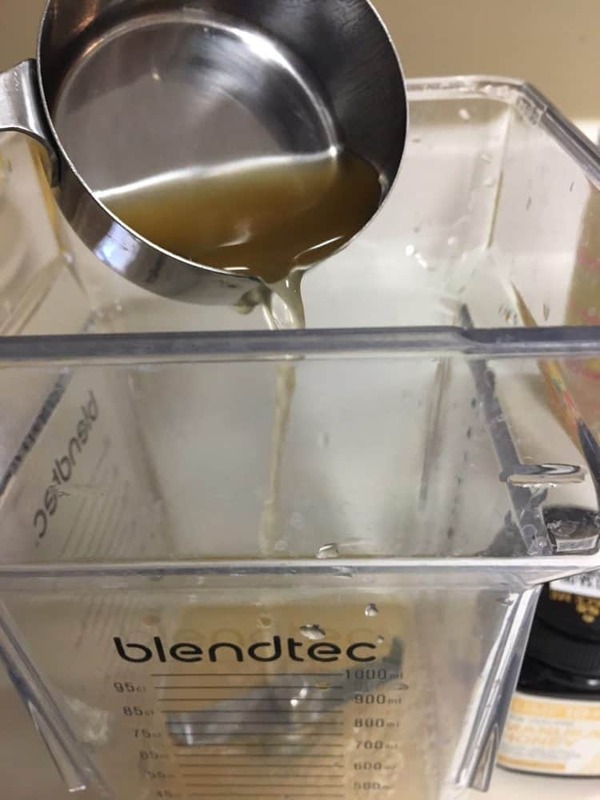 Tip: If you have a high-powered blender (like this Blendtec – I’m in love with it), you can just peel the garlic and ginger and let the blender do the crushing for you. 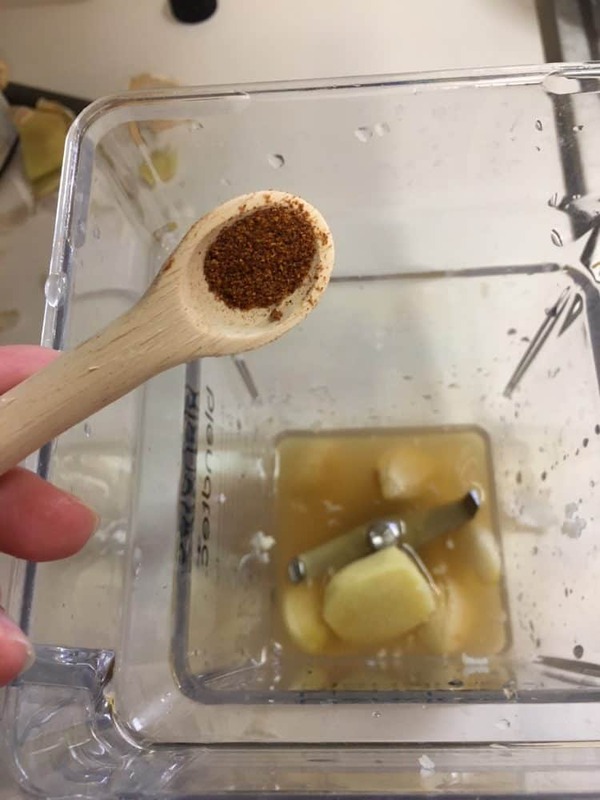 Next, add 1/8 up to 1/4 teaspoon of cayenne pepper. I recommend starting small and building up to the larger amount. A little goes a long way! 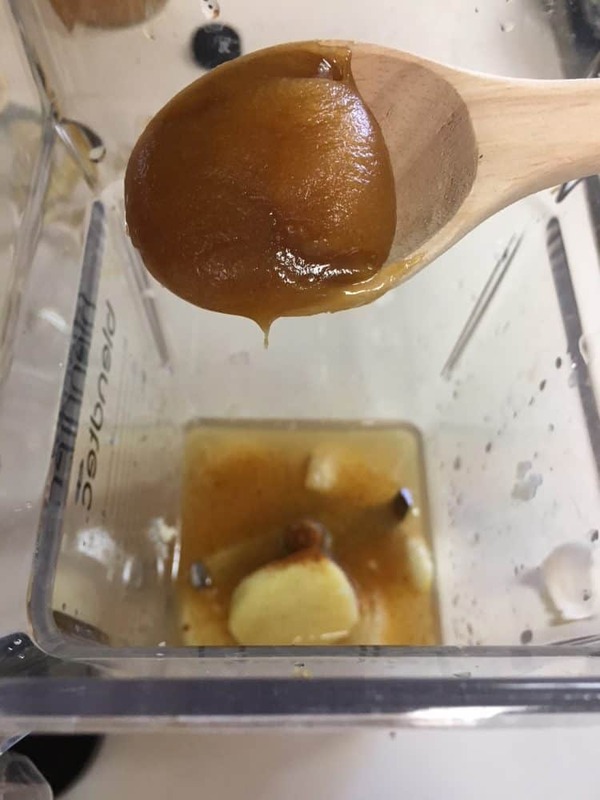 Finally, add 1 tablespoon of local or manuka honey to the blender. 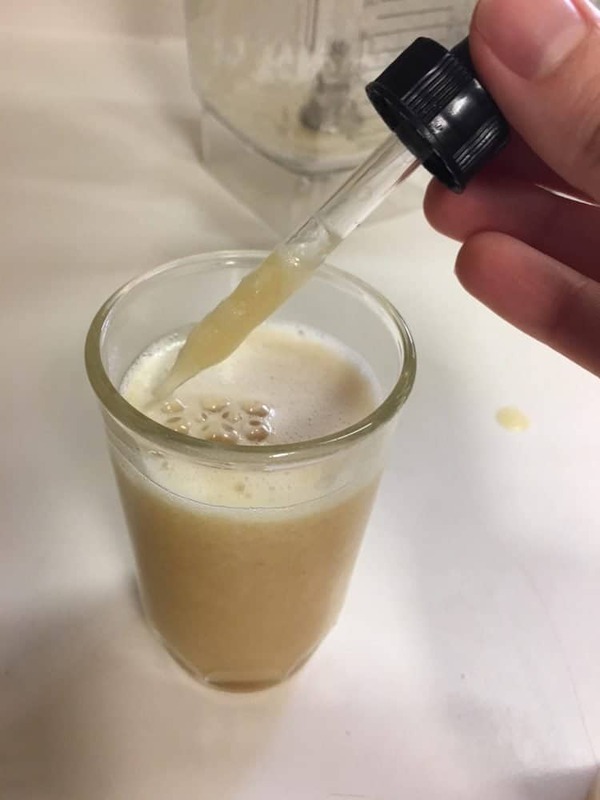 Blend for 1 minute, until the mixture is smooth. Last, strain the mixture through a small strainer into a small jar or container. Ideally, you can store it in small dark amber dropper bottles. This is perfect for just squeezing a dose into the back of your throat to gargle throughout the day (be sure to shake it first). A potent blend of the world's best cold-fighting ingredients. Germs don't stand a chance! 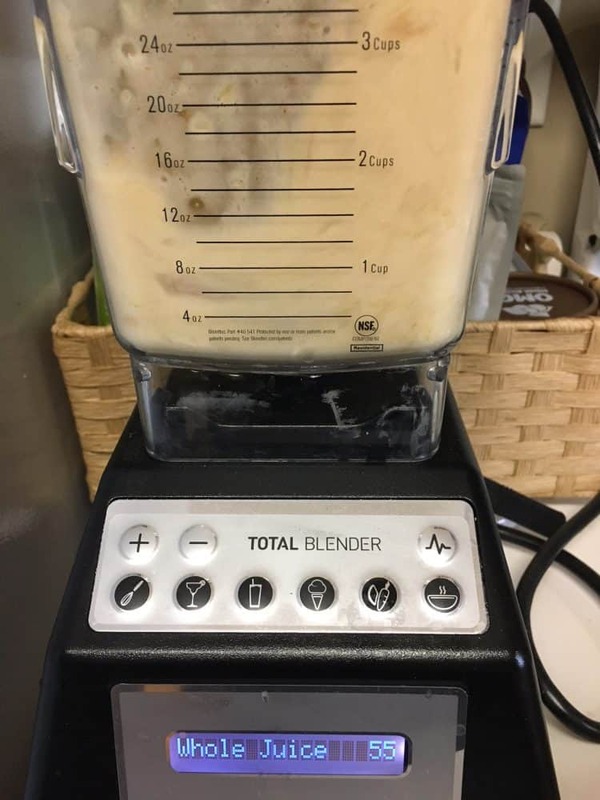 Add all ingredients to a blender and blend for approximately 1 minute. 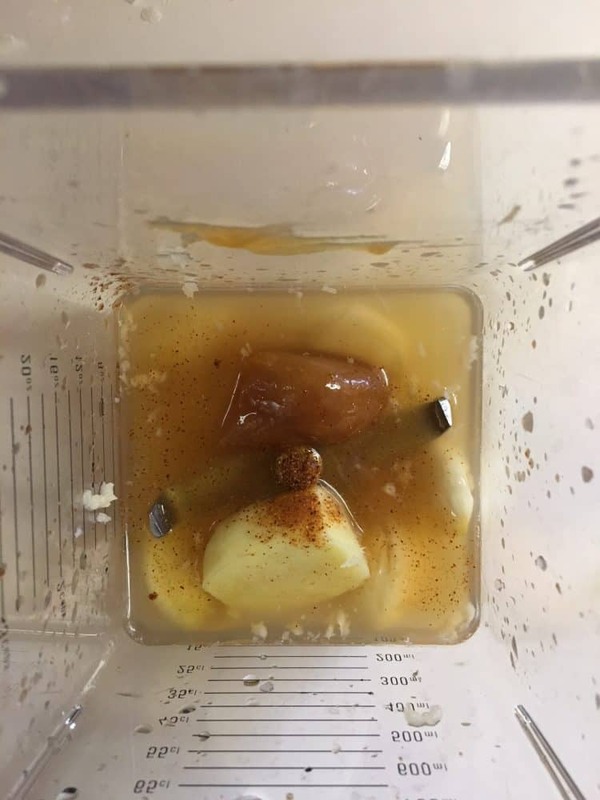 If using a high powered blender, there is no need to crush the garlic and ginger. Strain through a mesh strainer into a small jar. Store in the refrigerator and use within 1 month. Dosage: Take 1 teaspoon (and gargle) several times per day during illness. Best taken at the onset of a cold to shorten its duration. 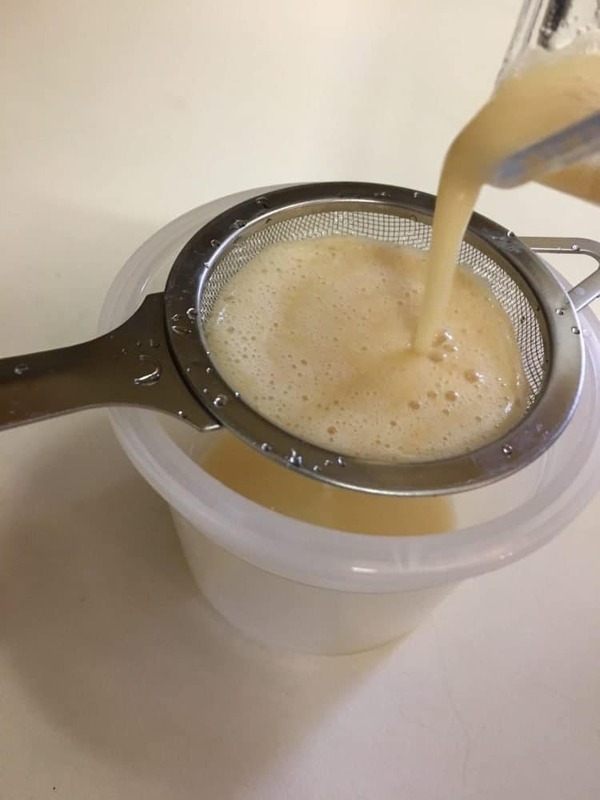 Honey should not be used for infants under 1 year of age. Dosage: Gargle and swallow approximately 1 teaspoon several times a day during illness. Best taken at the first sign of a sore throat. 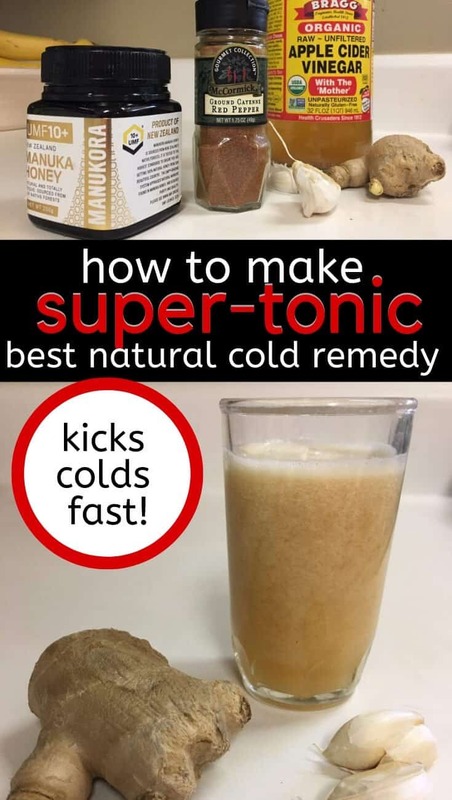 Store the super tonic in the refrigerator and use within 1 month. The vinegar helps it keep it fresh. This recipe is not for the faint of heart. If you’re not used to hot and spicy things, I recommend adding an extra half cup of boiled, cooled filtered (or distilled) water to the mixture to make it easier to take. You would just need to double the dose so you get the same amount of germ-fighting power. 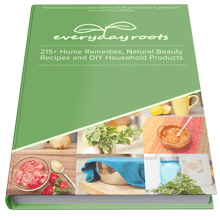 If you enjoy home remedies, here’s my favorite resource for them: The Everyday Roots Book. It’s over 400 pages of remedies for most minor ailments, plus DIY home & beauty products. I’ve never seen a resource this comprehensive for DIY recipes and remedies, and believe me, I’ve looked. The author, Claire, runs a really successful remedies website and is considered one of the top experts. I love having this book on hand whenever I need a quick remedy, and I can’t wait to try some of the salves and lotion recipes. Check out the Everyday Roots book here! 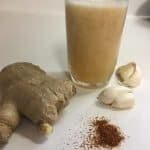 Now you know how to get rid of a cold fast with this effective and potent Super Tonic! Favor to ask: Could you leave a recipe rating in the comments section? I’d really appreciate it! Tell me: What’s your favorite remedy for how to get rid of a cold? 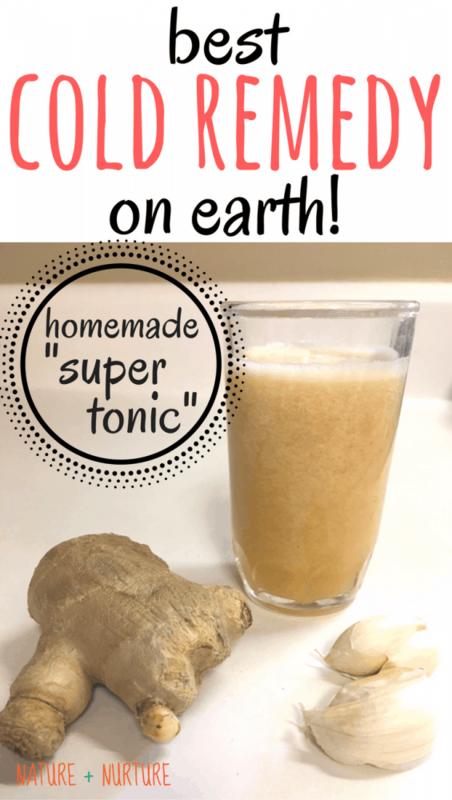 Are you brave enough to try Super Tonic? That is so cool, Stacey! Many of these natural remedies are universal 🙂 (Sorry for the delayed response. I had a glitch on my blog and it wasn’t displaying any comments).